There is perhaps no more brilliantly enigmatic landscapes to photograph than some of the great glaciated areas of our world. 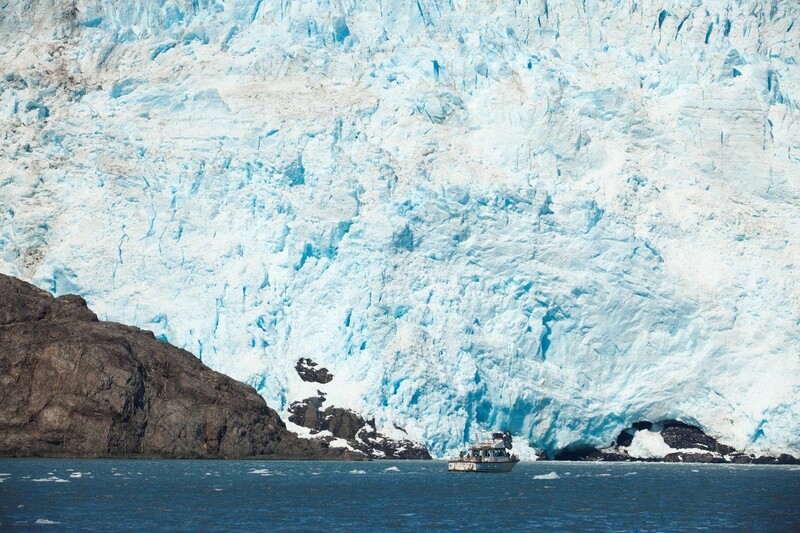 Whether you’re in the wilds of Patagonia or at the extreme other end of the world in the glacial bays of Alaska, you’ll no doubt want to return home with exquisite photos of these mighty walls of ice. 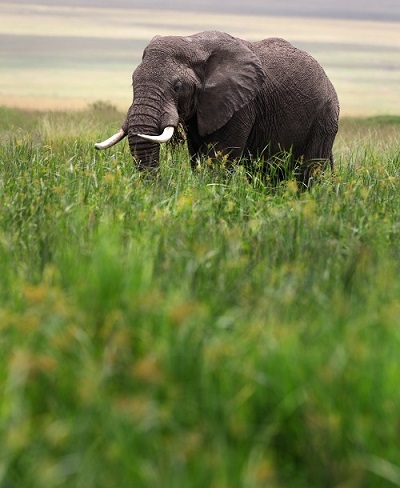 Follow these tips to be sure you go into the photo expedition confident and prepared. 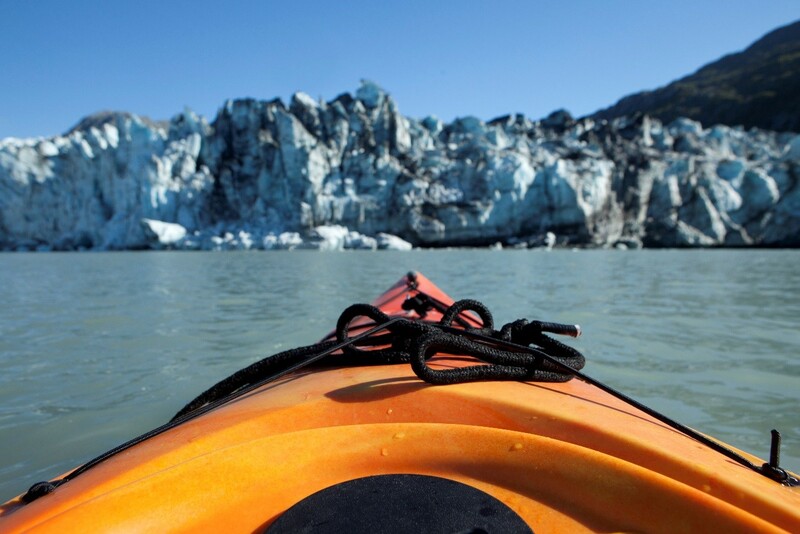 As you approach a glacier, whether by foot, boat, or kayak, you’ll obviously start further away and get closer over time. Kind of a no-brainer, but use this to your advantage to plan your shots. In a photo like the one above, I actually started with a reasonable telephoto lens (70-200mm), but given the size and distance, I was able to still get a great landscape shot from it. Because glaciers often stretch for great distance across a landscape, you’ll often get a considerable amount of “non-glacier” elements in your photo (i.e., water and sky). Using a typical 2:3 or 4:5 aspect ratio, that’s going to make the glacier look somewhat small and only take up a small slice of the frame. The best way around this is to crop your photo (on a computer) into a bit more of a panoramic look, by cutting out some of the top and bottom. You can also plan on “stitching” your photos in photoshop to create more of a true panoramic, but this can be tricky and I often find that by taking a single wide angle photo and cropping out some of the top and bottom, it gives me the desired effect like the photo above. Whether you need to change lenses or use your camera’s optical zoom to zoom into the photo, know that you’ll want to fill the frame with the ice at some point. Glaciers exhibit incredible textures and colors, almost like abstract art. Thus, while you’ll no doubt want the iconic landscape photo, think about getting closer, not just physically (which is completely up to the day’s conditions), but photographically, too. Pay particular attention to “leading lines” and use them to compose an interesting shot. 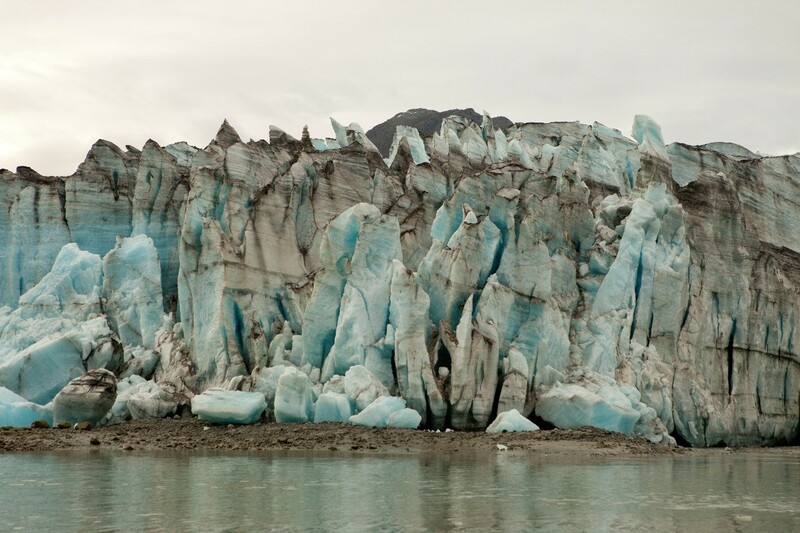 Not just framing the vertical spires of ice, but also some of the horizontal, darker striations in the glacier itself. Not all glaciers are massive, but many of the ones you’re likely to see on photo expeditions to the grandest places, like Patagonia, Alaska, and Antarctica certainly are. 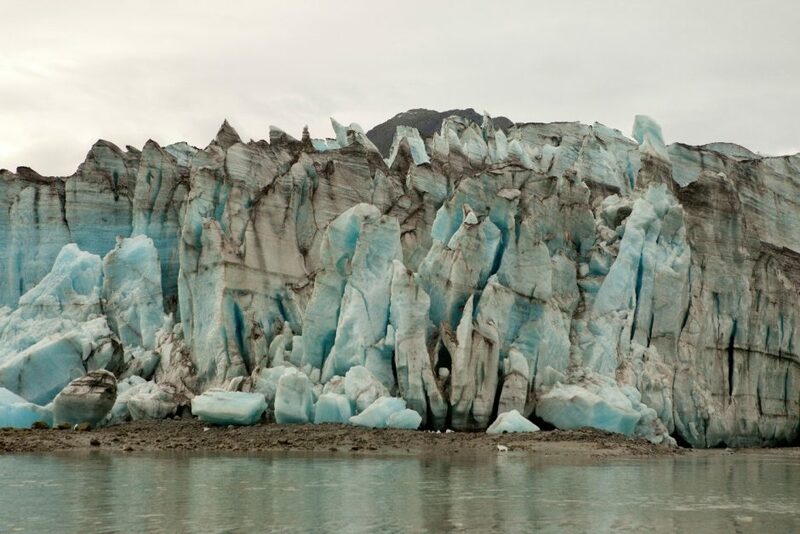 Because glaciers are other-worldly to begin with, it’s difficult for the viewer to really understand how large the chunks and walls of ice really are. 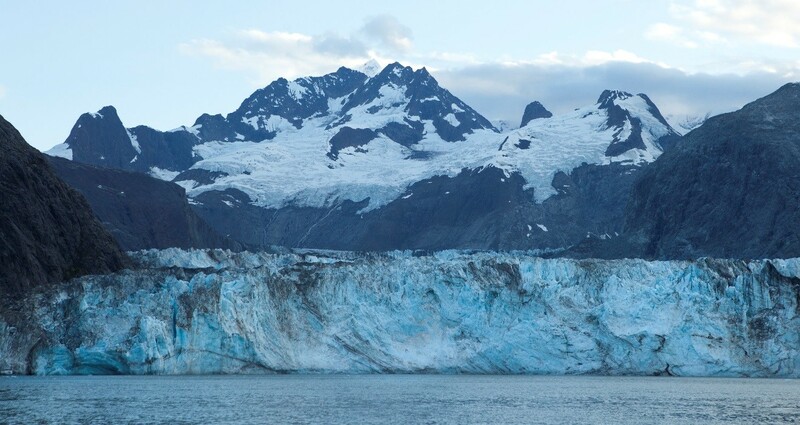 As a result, pay particular attention to other boats in the area, or hikers walking on or near the glaciers to help show the extraordinary size of the glacier. You won’t always have the luxury of lining up the glacier, horizon, and boat or person perfectly, but I still think it’s a key photo to take away from the experience. 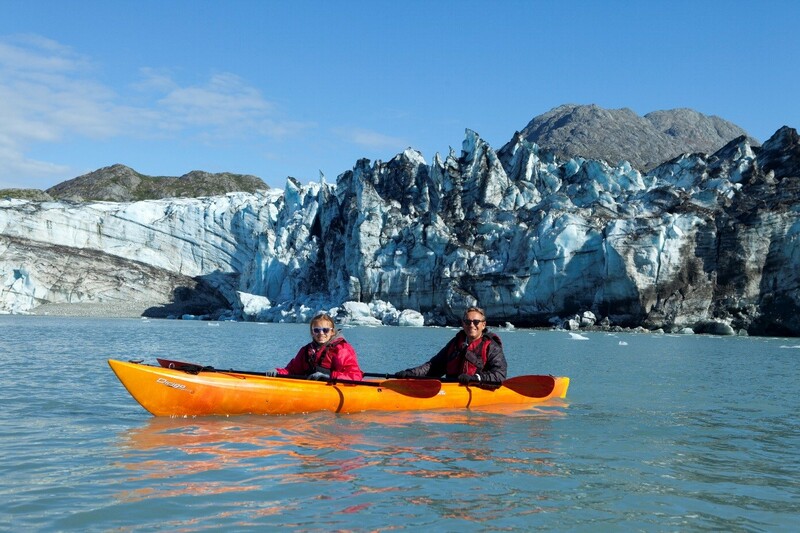 I often have guests on my expeditions that are quite worried about bringing their camera with them while kayaking around glaciers, specifically while in and around Alaska’s Inside Passage. While it is somewhat risky, with the water and all, it’s a photographic opportunity not to be missed! For one, you’re on the water, so you get a really ground-level perspective. But more importantly, you have the chance to get some really cool photos! Plan on bringing a small dry bag to store your camera in when paddling, and be extra careful, obviously, when photographing, but with the small risk comes huge reward and some really really fun shots. I always am an advocate for keeping post processing to a minimum, because the best shots are those that begin that way in the camera. However, there are a couple things that I do recommend toying with when it comes to photoshop, lightroom, and other post-processing programs. One, because glacier photos often need it and two, because they can handle it. In other words, you can get away with a bit more tinkering than usual in order to make the photos really pop. The two primary steps I take are to increase the saturation, and then increase the contrast. Very often, the blue that our eyes see in a glacier only comes through very mildly in the camera. Thus, increasing the saturation really helps get that blue to come out as our eyes see it. The other is contrast. By increasing the contrast of the photo, you’re simultaneously darkening the darks and lightening the lights in a very calculated way. Because one of the captivating aspects of glaciers are the extensive cracks, fissures, and crevasses, an increase in contrast really helps the shadows pop, in contrast to the much lighter ice surrounding. 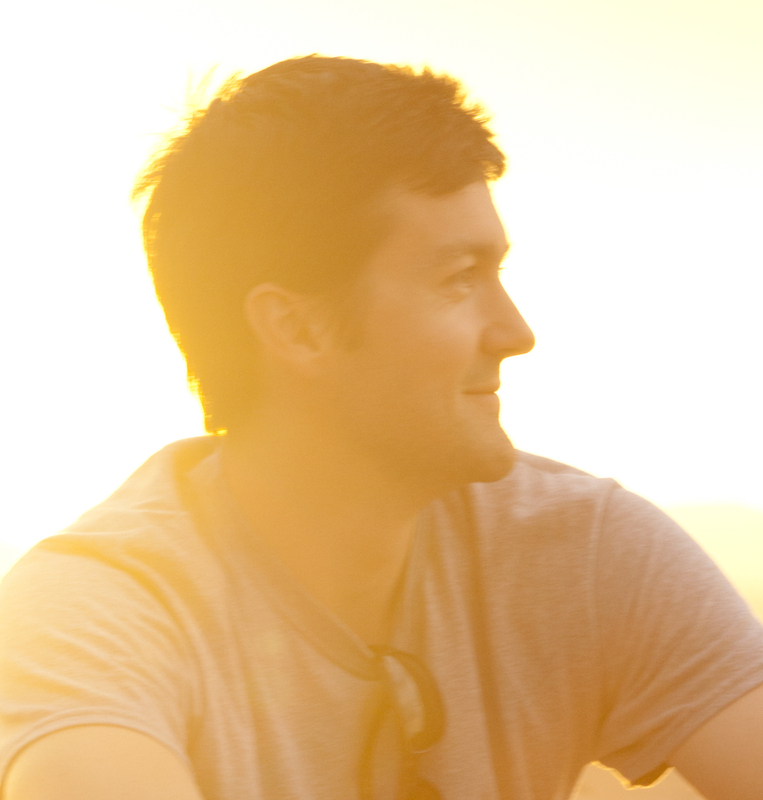 Also, you may wish to adjust the exposure of your photo, either lightening or darkening the entire shot. 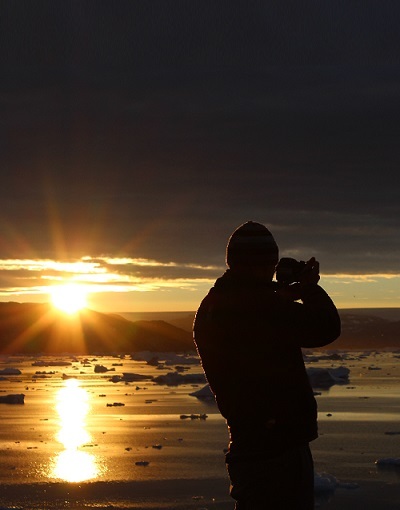 Because of the preponderance of very light or very dark parts of a glacier photo, cameras often have difficulty in getting the lighting perfect. When photographing scenes that mostly are very very light or very very dark (i.e., one or the other), it’s easy to adjust this as you’re taking the photos. However, because glacier photographs are nearly always a combination of the light and dark patches, I find it best to try and make minor lighting adjustments in photoshop after the fact. And the other thing you can experiment with is completely desaturating your photo, turning it into a black and white photo. 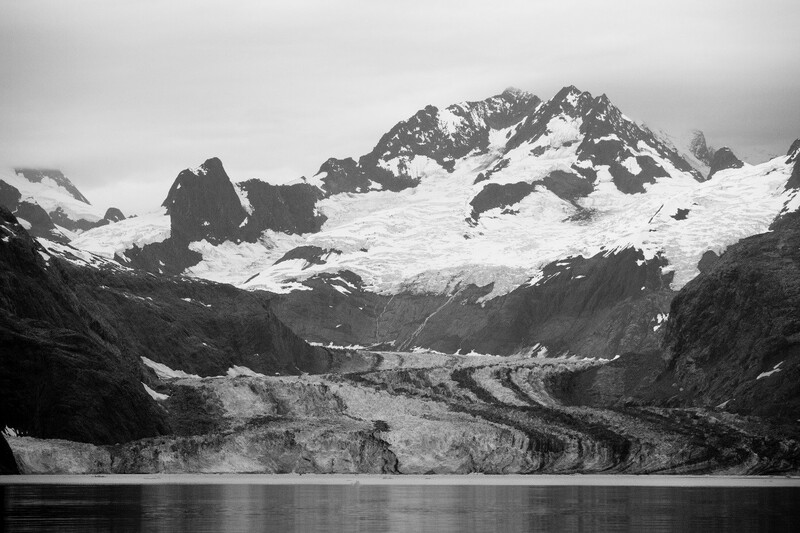 Once again, glacier photos can handle this treatment and oftentimes turn out quite stunning. Well, I truly hope this has been informative and helpful before, during, and after your next photo adventure. If you have any of your own advice on photographing glaciers, or questions I can help with, please do leave a comment below! January 19, 2018 By Court Whelan, Ph.D.